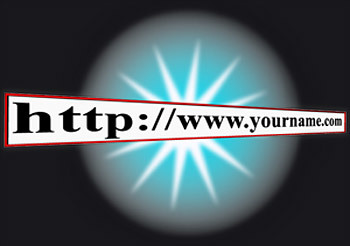 All websites need a URL (uniform resource locator). It works as an "address" where viewers will find you on the World Wide Web. Most companies want www.yourname.com as an address. If your company is Smith Trucking, you probably want www.smithtrucking.com. Unfortunately, there can be only one company in the entire world using that URL / address. In today's crowded internet world, there is a good chance that another "Smith Trucking" in another state or country has already registered that URL / address. In fact, Smith Trucking in Alberta Canada already owns that URL. Because the internet is now so popular, companies often have to get a bit creative with a URL / address choice. Perhaps www.smithtrucking.net, or www.smithtrucking.us, or www.smithtruckingonline.com. If the founder of Smith Trucking is named George, you may settle on www.gsmithtrucking.com as an address. URL / address registration is typically billed once per year. Unfortunately, registration is publicly available info. So, you may get 3 to 10 "bills" per year for your registration. All but one of these "bills" are actually a deliberately confusing "request to switch services" to a new, unscrupulous, company. You need to make sure you pay only the "correct" bill. Ferguson Photography and Design will work with any existing URL / address you may already own, or we'll help you find and register a new URL / address. If you host your site with Ferguson Photography and Design, we can also handle all yearly registration bills and issues for a fee of $15 per year added onto your hosting bill. Registering a URL and getting a web host are two different services. They are both needed before people can use your website on the world wide web.